Barbie’s market share had been slipping every year since 2009. The brand was under fierce criticism for promoting an unrealistic beauty standard and portraying Barbie in stereotypical gender roles. 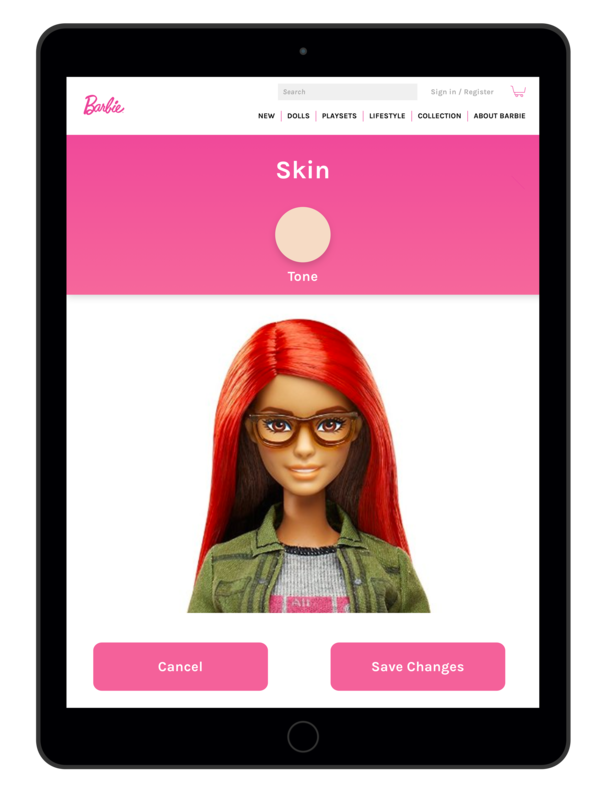 Barbie is having trouble overcoming her old reputation in an age where millennial parents care about the message toys send to their children. Young girls have a huge imagination. However, it’s not always easy to imagine what it’s like to be a certain career; especially those that are typically male dominated. 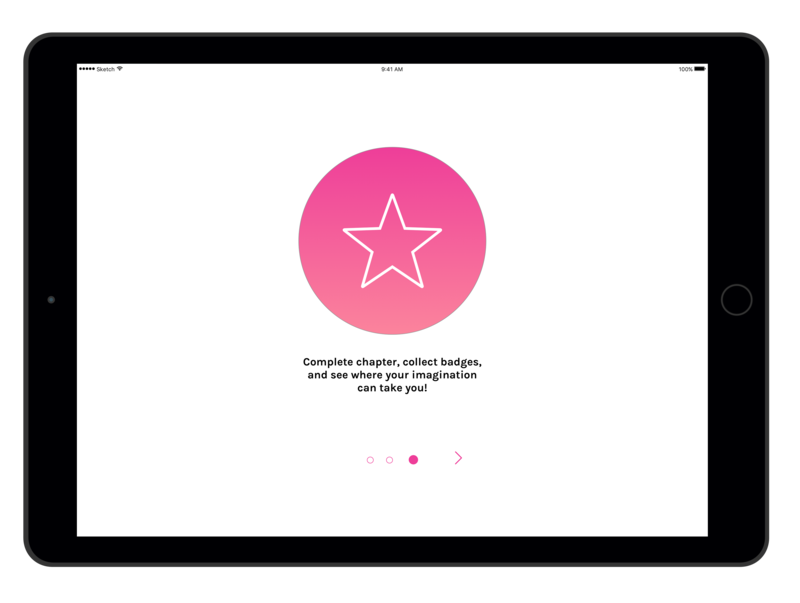 We’re making it easier to imagine that. Reimagine who you can be. 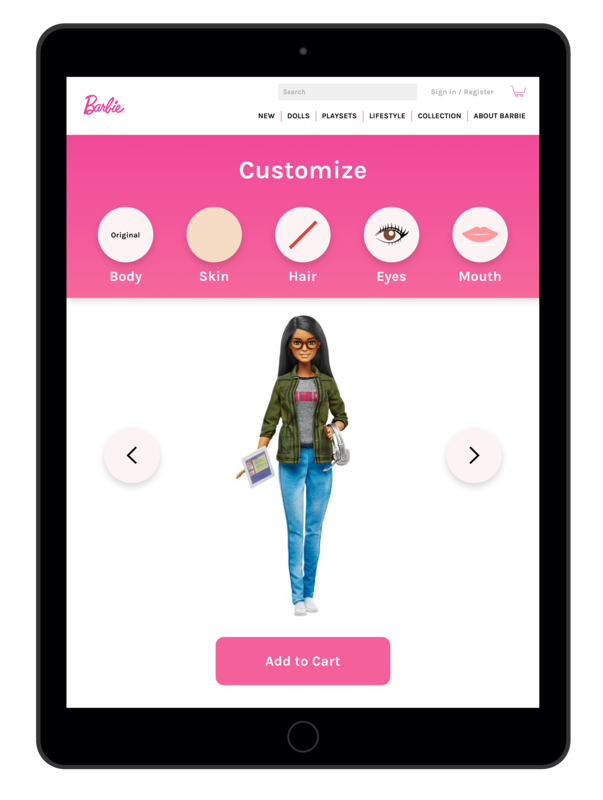 We are introducing the Just Like Me dolls. 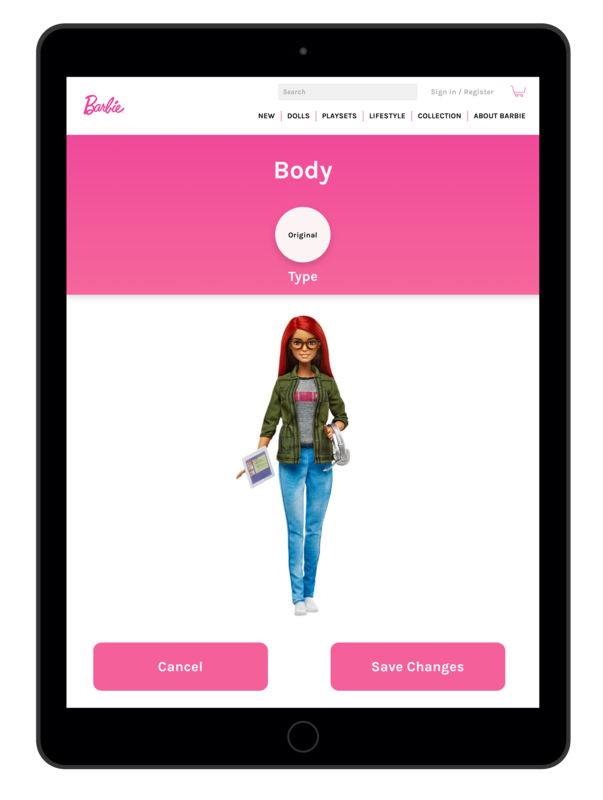 By combining the customization to make a Barbie resemble you and using AR to educate girls about different careers, we are helping them better envision the possibilities. 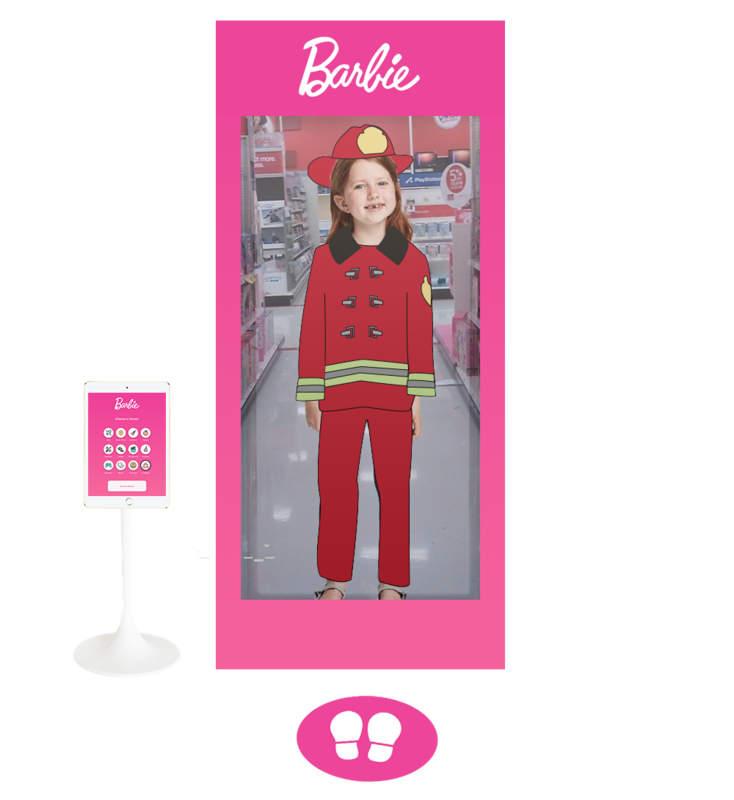 In retail locations, a Barbie mirror will be on the end cap of aisles. 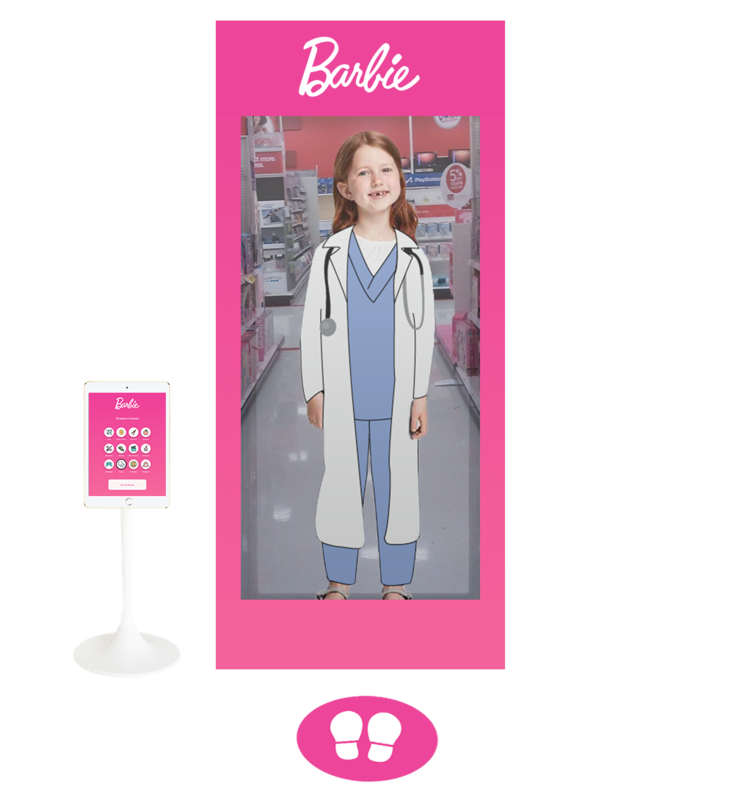 The mirror allows young girls to walk up and choose from an array of career options from the touchscreen. Once selected that outfit appears on them in the mirror. 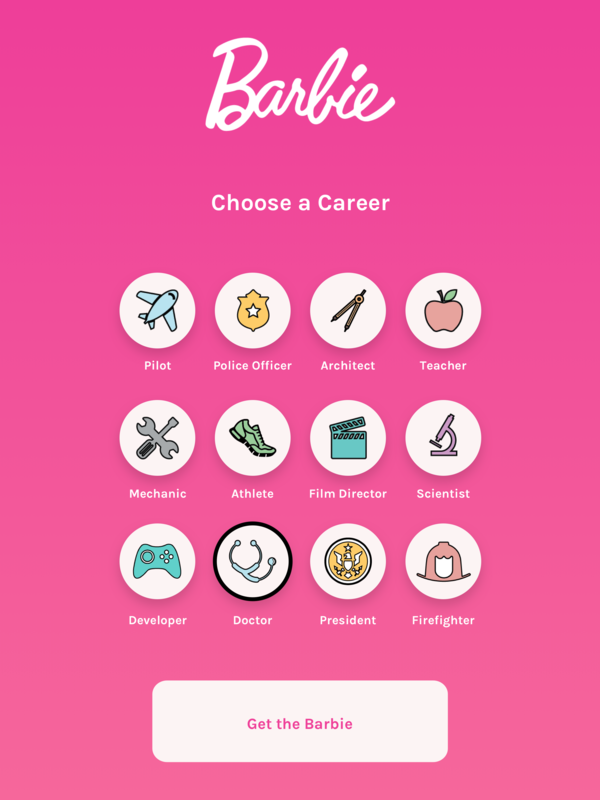 A career is more than just an outfit. Watch a video of a real-life woman who is in that profession. 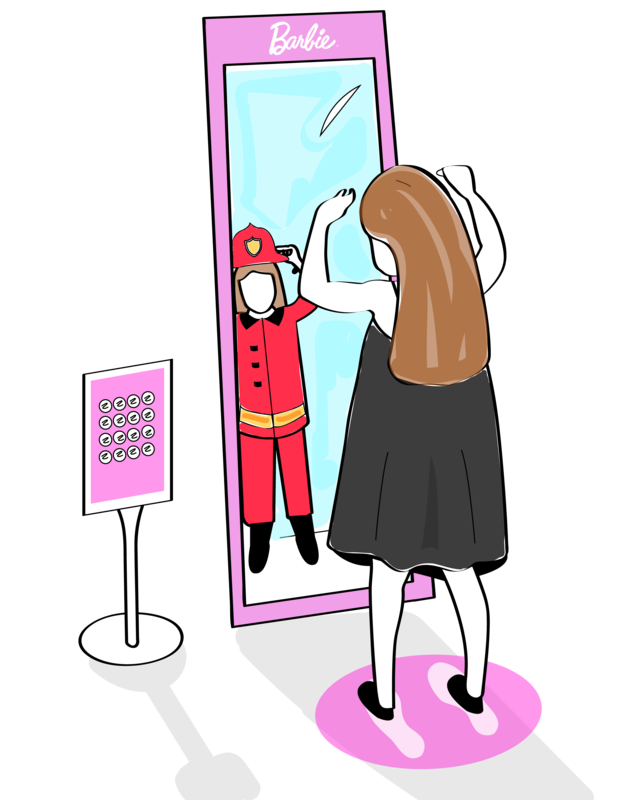 The mirror will then direct you to your closest in-store purchase. For a more customized version, head online. 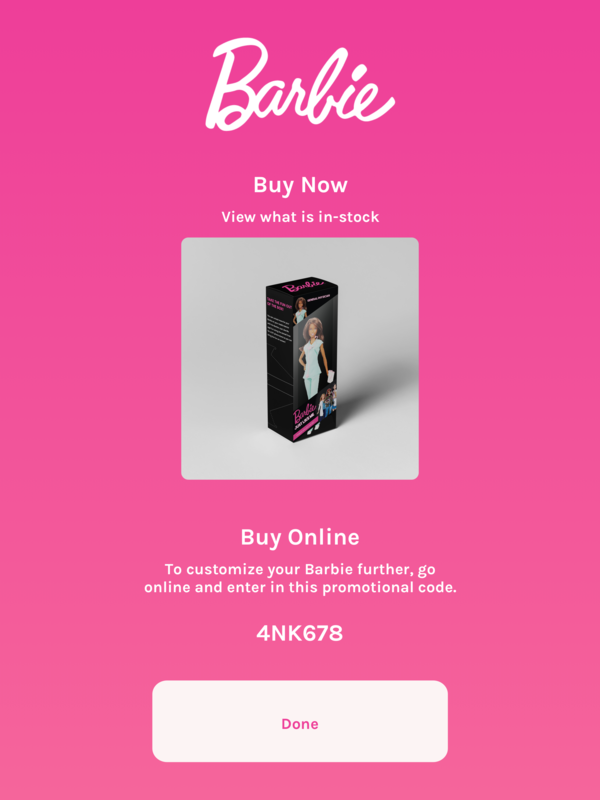 Go online and order a Barbie exactly like you. 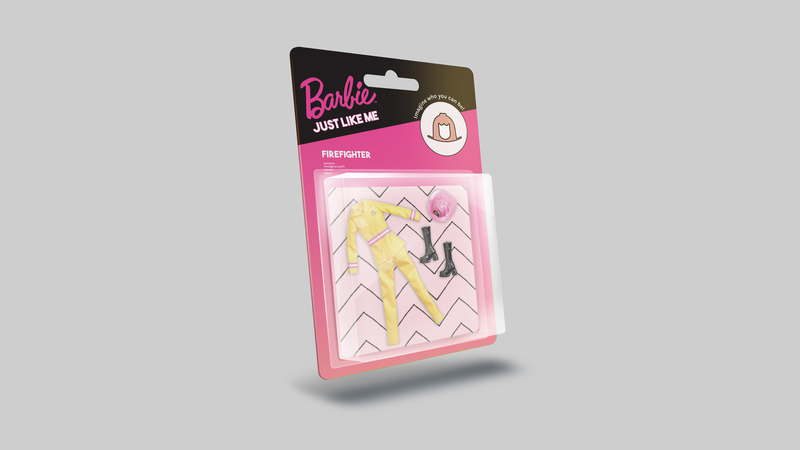 The Barbie Just Like Me doll comes in a package that allows you to cut and fold it. This allows you to create a stand to hold your smartphone or tablet for an AR experience. Parents can buy additional clothing packs for more career options. Imagining what a career is like can be difficult. 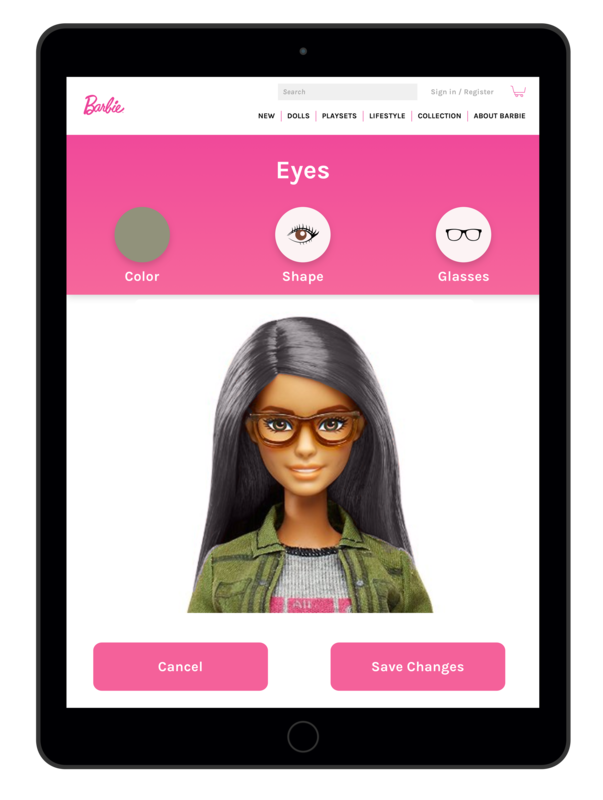 The AR experience gives young girls the tools they need to imagine. Simply download the Barbie app and hold your doll in front of the front-facing camera. The camera will read the emblem on her clothes and create the appropriate career scene around her. 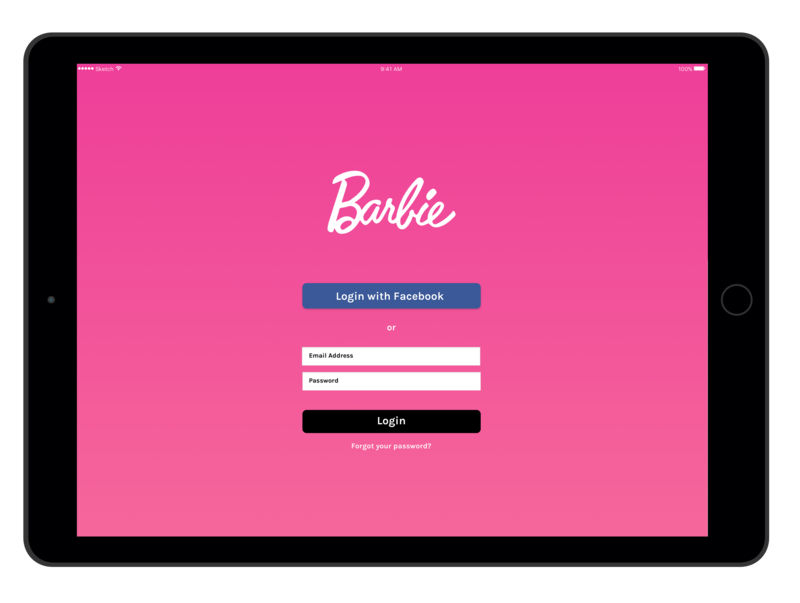 Follow along with each new chapter as Barbie moves throughout her career and is faced with new situations.